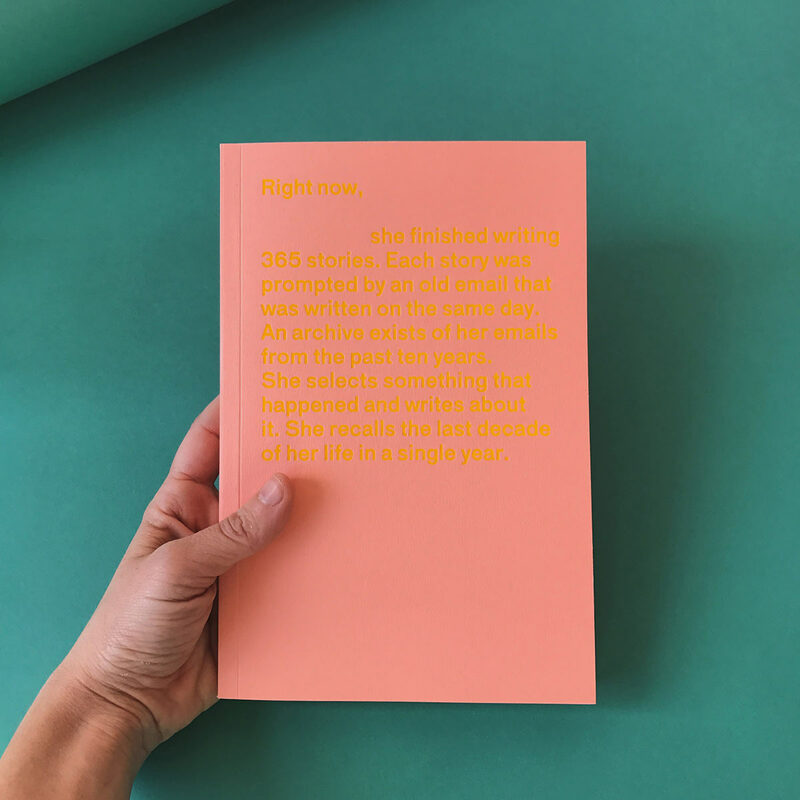 Right Now is a book of 365 stories inspired by the chronological events of an e-mail archive. A 10-year span in the artist’s life is distilled into a single new year—days, months and years are blurred into a pastiche of deconstructed personal histories, episodic memory. Cameron uses our perception of time as a device to formulate themes of permanence, change and nostalgia. In Right Now, the past is reiterated into the present creating an examination of readers’ tenuous relationship to memory and time. Published by Run / Off Editions, Edited by Elizabeth Karp-Evans and Designed by Franklin Vandiver. Printed at Publicide. Proudly powered by WordPress | Theme: robin-cameron-2017 by Eleven Alphabet.